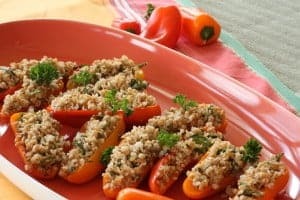 Tabouleh Stuffed Peppers are filled with fresh veggies, healthy fats, fiber and spices that all add up to a dish with healthy benefits! But people likely won’t notice that. They’ll just notice the refreshing flavors and how cute it looks! Bulgur has to be one of a cook’s best friends. Why? It’s economical, it’s a loaded-with-fiber whole grain and there is no cooking required (just a presoak)! Bulgur is a grain to turn to when it’s hot and you don’t want to turn on the stove. Of course, you can cook it by adding it to soups and stews or in a pilaf. Instead of oatmeal, top soaked bulgur with yogurt and fruit for breakfast. Chewy, earthy wheat kernels, it is the grain used in Tabouleh salad. Tabouleh is a Middle Eastern dish of bulgur, parsley, mint, tomatoes, olive oil and lemon juice. Add flavor and crunch with cucumber, chopped green or red onion, coriander and cumin. For each cup of bulgur, add an equal amount of water and let stand for an hour. It can be made a day or two before serving (which makes it great for a party). With all the colors, it’s too-cute for school! It’s taste great and it’s good for you. The fresh veggies, healthy fats, fiber and spices all add up to a dish with benefits – healthy ones! But people likely won’t notice that. They’ll just notice the refreshing flavors and how fun it looks. It’s a great way to use the herbs in your garden. 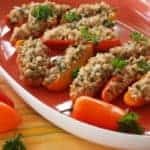 You can use those tired peppers in the fridge. Just like our skin needs moisture, so do wrinkled peppers. In a glass bowl, microwave peppers, covered with lid, with a couple tablespoons of water for 3-4 minutes to soften. Remove the lid and let them cool until they’re easy to handle. Then stuff them with the salad. This tabouleh (or tabbouleh, however, you choose to spell it) recipe won approval at a recent dinner party. You don’t need to wait for a dinner party, but keep it in mind for your next one. You’ll like the applause! Place bulgur in a large bowl, cover with water. Set aside for an hour, until most of the water is absorbed. Drain. Make a vinaigrette by whisking together olive, lemon juice, garlic, salt, coriander, cumin and hot pepper sauce. Pour over bulgur. Rinse peppers. Cut in half lengthwise, remove seeds and stem. 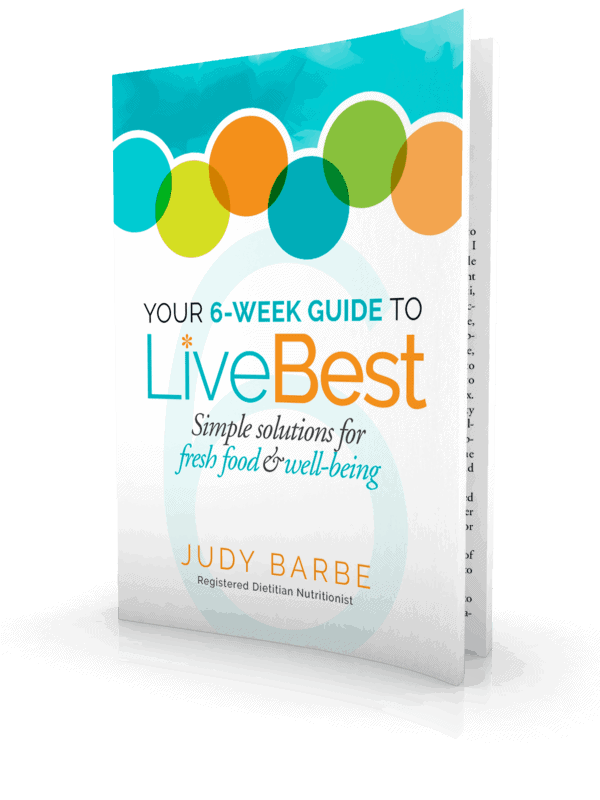 Place in a microwaveable bowl, add 2 tablespoons water. Cover and microwave on HIGH for 3-4 minutes. The peppers should be softened but not cooked. Remove cover and allow to cool. 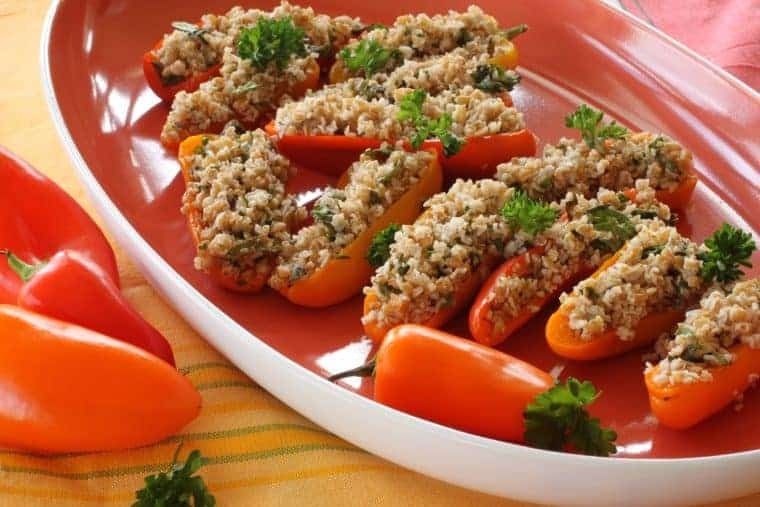 Fill pepper halves with tabouleh. 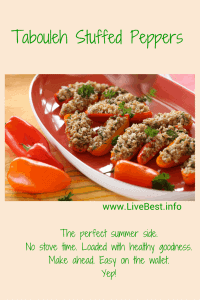 The stuffed peppers may be refrigerated, covered, overnight before serving.